To all the MEN out there leading your families and raising your kids, thank you and this may or may not necessarily be for you. But to my ladies, please read this in love and know this is a plea to save our young men. We live in a different age and time where “roles and duties” have been blurred and transposed. Since the dawn of time, God created us as men to be priest, provider, and protector of our homes and families and unfortunately, many men have failed to accept their roles and live up to the standards that have been handed down through generations leaving many women to take on positions they were not meant for or destined to carry. But all isn’t lost as we have men from all walks of life stepping forward to fill the void left by others. He may be the husband who steps in and raises someone else’s child as his own; or the coach who only wants the best for that young man and steers him in the right direction; or maybe the “big brother” who shows that young man he is not alone and there are men out there that care about him and want the best for him; possibly someone of the cloth who helps that young man find an inner peace and a higher calling; even the neighbor, uncle, older cousin, godfather or whomever it may be who wants to see your young man succeed. There are so many ills in the world and cynicism, that we shield our young men for all that is right under the disguise of “protecting” them from a world that often times has their best interest in mind. While you’re “protecting” them, you’re also creating a steep hill for them climb and setting them up for one failure after another. Again, I say this in love. Never will I negate or discredit the roles of our mothers and women and all they have unfairly been asked to endure and take on. It is not right… period! What I will ask is that you let our boys become men. They are not their father, so don’t punish them for the father’s sins. They are not babies anymore and as such, they have to be released to grow. They are not your substitute boyfriend or companion, so you cannot hold them so close they are smothered and their growth stunted. 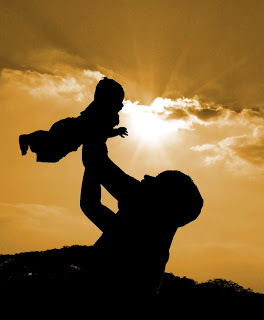 Nurture them to become the leaders you aspire them to become, to be the man you dream they will one day turn into, the husband and father you longed for. The only way is to let him fall, let him know what hard work feels like, let him learn that his actions have consequences and any man who takes actions must be man enough to accept the consequences, good or bad. Let that young man earn his passage in life and fully comprehend that everything doesn’t come easy, but those that labor through will reap the benefits and rewards. Let him grow not only in shoe size, but also in intellect, in maturity, in responsibility, and very importantly, emotionally. Allow that man who has stepped in and stepped up to help him develop, to teach him the traits of being a man in all aspects, and if necessary, to discipline and re-direct so that he knows what he does is being watched and it matters. Please don’t enable him in being meek, timid, dependent, selfish, unmotivated, non-working, unruly, spoiled, or any other adjective you would call a “sorry man.” That is not what you want for him so don’t allow it! 1Corinthians 13:11 – When I was a child, I spoke as a child, I understood as a child, I thought as a child: but when I became a man, I put away childish things. Titus 2:7-8 – in all things showing yourself to be a pattern of good works; in doctrine showing integrity, reverence, incorruptibility,sound speech that cannot be condemned, that one who is an opponent may be ashamed, having nothing evil to say of you. As you can see, that young man was built to be a king, a leader of men, a catalyst for change, a springboard of prosperity to transform all he touches. Let him grow, spread his wings, conquer all he can. Be there when he falls, because we all have, but also encourage him to get back up and carry on. One setback does not mean stop. Obstacles and challenges promote advancement and renewal. We learn who we are through trials and tribulations, so let our young men discover the man they are destined to become, even if it means he’s no longer mama’s baby. I say all this with love and I hope to continue to help our young men become the next generation of spiritual, mental, physical, and emotional juggernauts so that they too may reach back and help those that will follow them. Previous Lions, Bears, & Tigers – Oh My! Next The Future is Bright!